Charles Equipment rents everything from generators to air conditioning to heaters to keep you powered and comfortable. 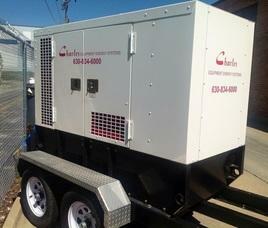 We have generator sizes ranging from 2000 watts to 2000 KW in varying voltages and phases. Our heating and cooling sizes range from 8 to 50 tons of AC, and 10 to 50kW of heating. We have all the necessary cables and panels ready to have a full system up and running in a matter of hours. 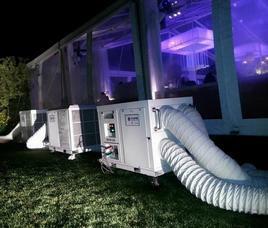 Space saving 12 ton AC units are great for weddings and special events. 50kW Super Quiet Mobile Diesel Generator can supply 75 Amps at 480 Volts, 174 Amps at 208 Volts, 200 Amps Single Phase.